Below are just a handful of the hundreds of testimonials we have had over the years. 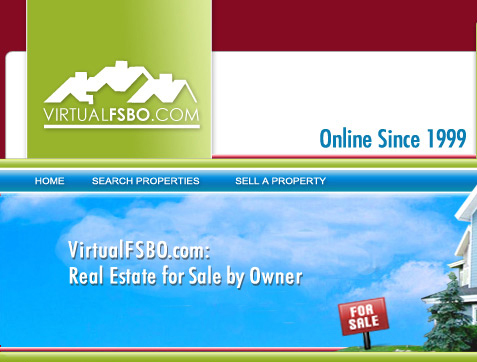 Are you a happy user of VirtualFSBO.com? We welcome you to post a testimonial to display on this page. We will only post your first name, city and state, along with your testimonial. Feel free to mention what you think of our services, why you chose us, or any other information that you want posted on this webpage. Lanette says, "Sold! Thanks to Virtual FSBO.com! I wanted to email you and thank you for the part you played in selling my parents' home. They are an elderly couple and had their home listed FSBO. I put their home on your site and within a week we had an interested buyer. Now, one month later, they have closed on the home and when I went in to inactivate the ad, we had over 100 views! Thank you again for what you do." Leslie says, "I sold the house for $155,000. Thanks for your help. I will use your service again when I need to put another house on the market. Once again, Thank You." Ian says, "I find your site the best of the six or so free sites and we have had a few inquiries (6). I will look into your MLS offer nearer the time of sale (mid summer '08) thank you again we are impressed." John says, "Benzonia, Michigan - First two houses sold. Thank You! 7901 Love road and 8530 Homestead. You're great! How do you do it for free?... Please mark #13221 sold and please delete #12034. You really deserve a lot of credit in this whole matter." 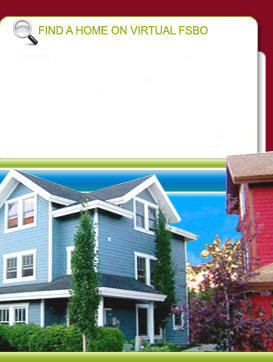 Jim says, "Thank you for letting us use your website - we sold the house last week for the asking price. thanks again!!" Debbie says, "Due to two deaths in the family, we had two homes to sell. The quality of responders was of a very fine level. Most were from Florida and both our buyers are from Florida." April says, "We just wanted to tell you how much we appreciate your web site, the courteous manner in which we were treated and the efficiency of the whole procedure. We had listed our house with local realty to absolutely no avail several months before we learned of your site . In just 5 weeks we had folks from all over contacting us. The house sold at our price and we and the buyers are very happy." Edward says, "I can't thank you enough for all your help. Did you know we found the house we are going to buy on your website? That's how I came to put my own house on your site. I appreciate your professionalism and courtesy! I would recommend your website to anyone." Adam says "My property sold quickly to someone who saw my ad on your site. Thank you for your service." David says, "We sold the house (by owner). As easy as it is to sell by owner, we're still trying to figure out what a realtor is for. Thanks very much." Lisa and Eddy say, "Our house has been sold. Thank you very much for your services. Your staff has been wonderful and we appreciate everything you did for us in assisting with it being placed on the website." Lidel says, "We sold our home. Thank you for all your help. I'm sure we will use the FSBO service again in the future. We wish you the very best." Earl says, "Thank you for listing our townhouse in Phoenix, AZ. Next, I have an apt in San Francisco (on Nob Hill) and we'll see how that goes on Virtual FSBO. Your fan club." Darlene says, "My home has sold. I received a lot of inquiries through your website." RV says, "Our home sold 2 months ago to someone who contacted us from your site. Please cancel the listing." Tina says, "My Mom's house sold Thursday. We had a lot of hits on our ad and several good inquiries. This is a good site and I have already told people about your website. Thank you for your help." Gordon says, "Our home sold last week. Thank you for allowing us to use your website. It was sold through a realtor; however, the realtor told potential buyers to access your website to see the pictures prior to driving a long distance to see the home." Beverley says, "Thanks so much for your website service. It was great. We did get a contract for our house and the buyer did see the ad on the internet. Thanks again. Your service was FANTASTIC."